Indulging in a bike tour along the German and Austrian stretch of the Danube is a true pleasure — and your floating hotel will be with you the entire way! 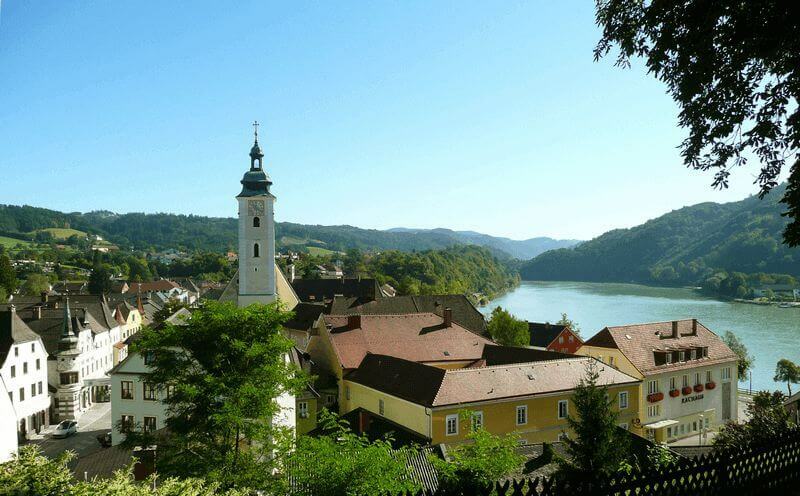 The bike paths slope gently downhill, following the river banks through gorgeous little villages and verdant Danube landscapes. 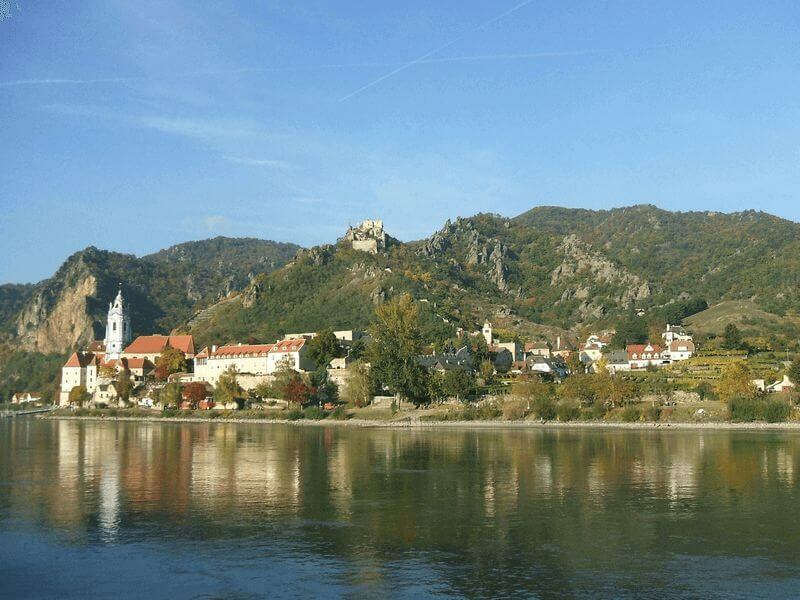 Soon you’ll find yourself admiring the wondrous “Great Loop” as you make a breathtaking 180º turn on the Danube and enter the realm of Wachau, with its old-world delights including monasteries, terraced vineyards, and fairytale castles. And then, prepare yourself for Vienna! 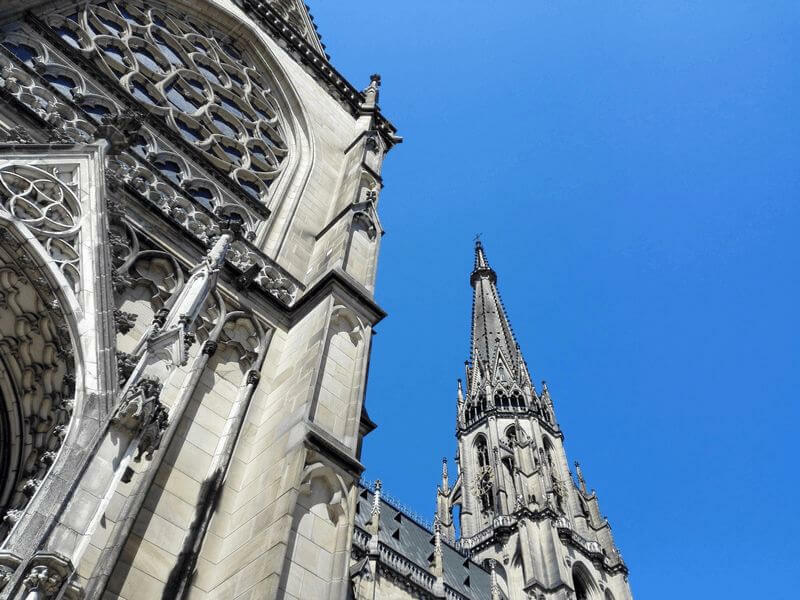 Although we could talk about its marvelous city hall, the iconic St. Stephen’s Cathedral, and the world’s oldest Ferris wheel (the Riesenrad), you really have to see it for yourself to understand the beauty. 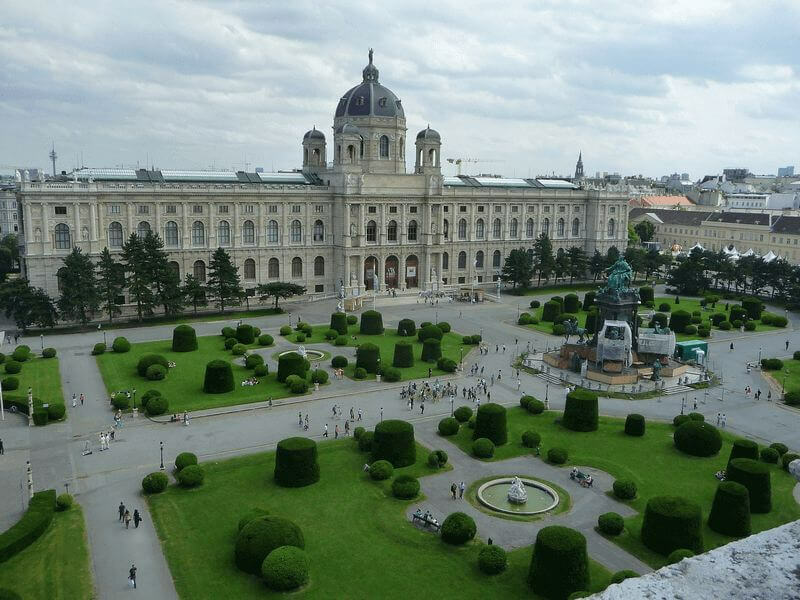 These and many more attractions are easily explored by bike, and when you need a break, drop into one of Vienna’s world-famous coffee houses for cake, comfort and carefree relaxation. 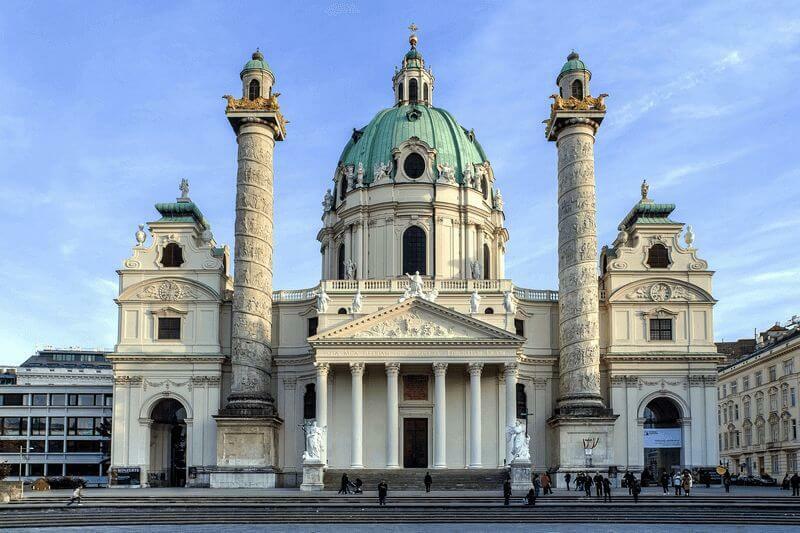 Continue the culinary and cultural adventures as you see fit — perhaps stop by at the Vienna State Opera House or taste Wiener schnitzel with local wine in the bistros of its hometown. 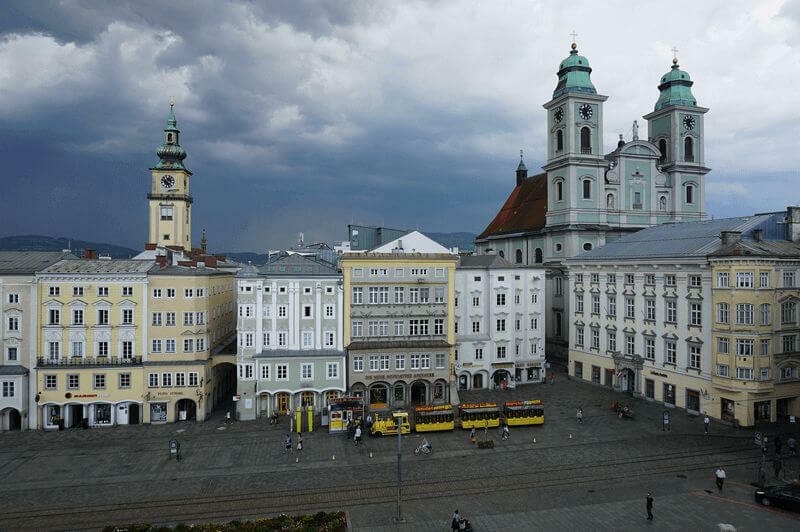 The highlights of the tour: The Three-river City Passau, the Schlögener Schlinge or Great Loop, UNESCO World Heritage Site Wachau, baroque Linz, elegant and multifaceted Vienna. New in 2019: Tours on the Normandie and the Arlene II start and end on Mondays. 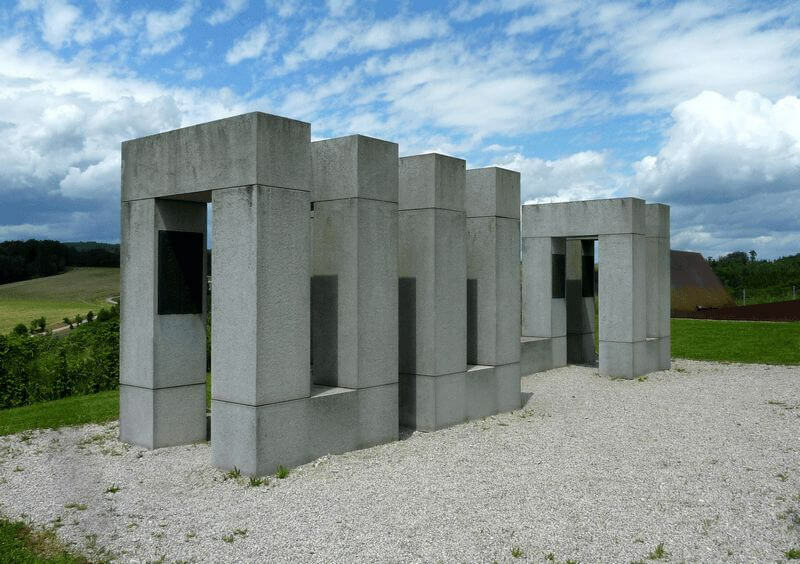 2019: The tours with the Normandie and Arlene II start and end on Mondays. Normandie: the ship departs at approx. 7 p.m. 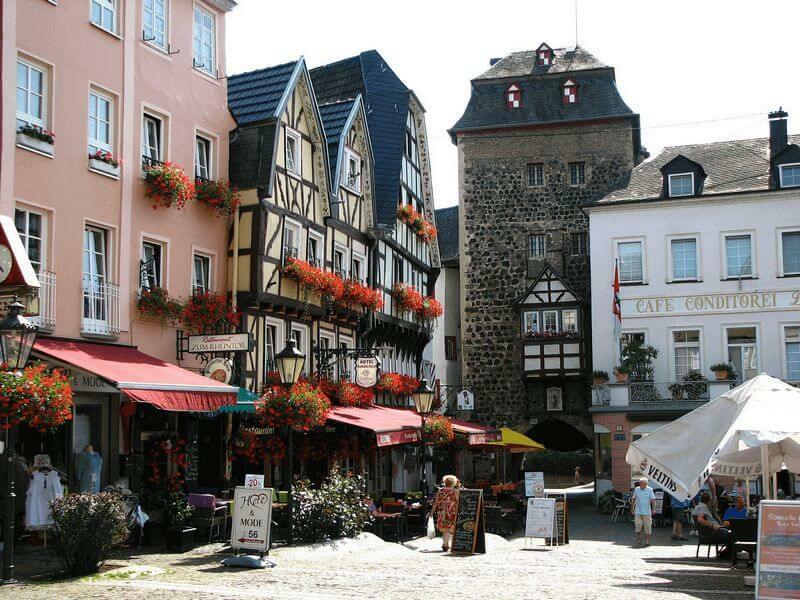 Enjoy your first dinner on board as the Normandie sails on to Engelhartszell. Arlene II: In the evening before dinner you will enjoy a welcome cocktail. Your ship remains in the port of Passau for the night. Normandie: For those still getting into holiday mode, Engelhartszell’s Trappist monastery has special cordials and liqueurs that can pep you up for the coming tour with their “special healing powers.” Following the river, you’ll pass through wonderful vistas and charming villages before having the chance to hop on a cozy ferry (€3) to marvel at the powerful 180° turn made by the Schlögener Schlinge river loop. It’s then time to board the Normandie at Untermühl, from which point you’ll cruise on to Linz, the capital of Upper Austria. Arlene II: Riding downstream, your path will pass through cute villages and lush, green landscapes. 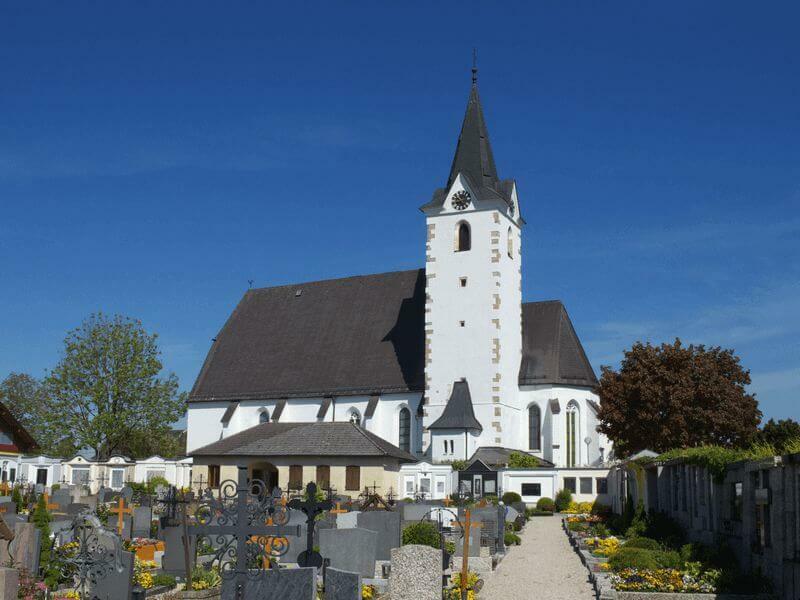 If you need a bike-boost, then sample the special cordials and liqueurs in Engelhartzell’s Trappist monastery. 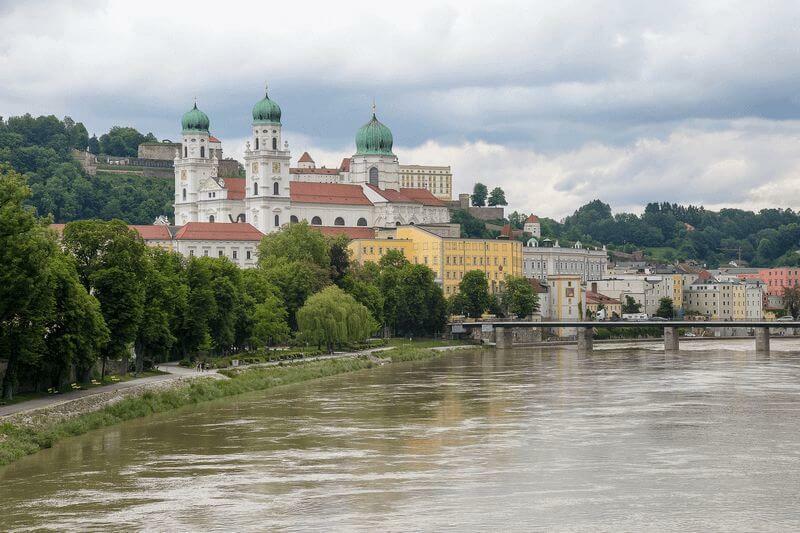 They supposedly have “special healing powers!” Soon you’ll be able to board a ferry (€3) to cruise through the romantic Donau Loop, where the river turns back on itself by 180°. 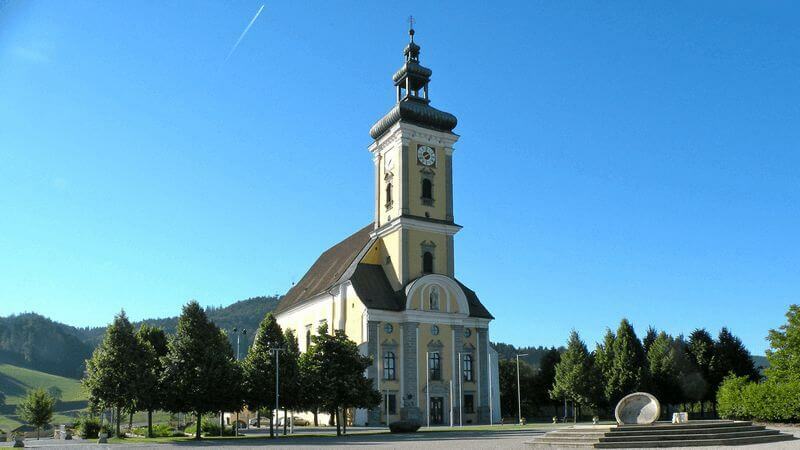 Its then time to cruise from Obermühl to Linz to discover the capital of Upper Austria. 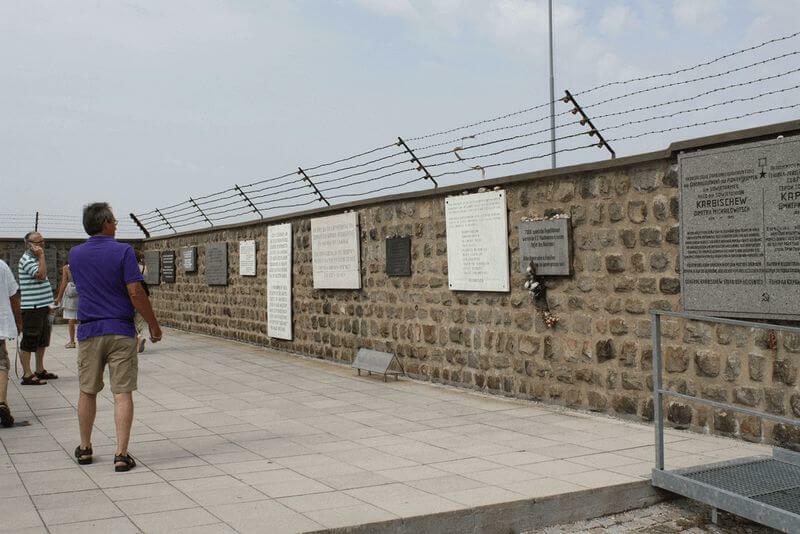 Enjoy breakfast during an early morning cruise to Mauthausen, where you’ll have the chance to visit the memorial site of the KZ Mauthausen concentration camp. 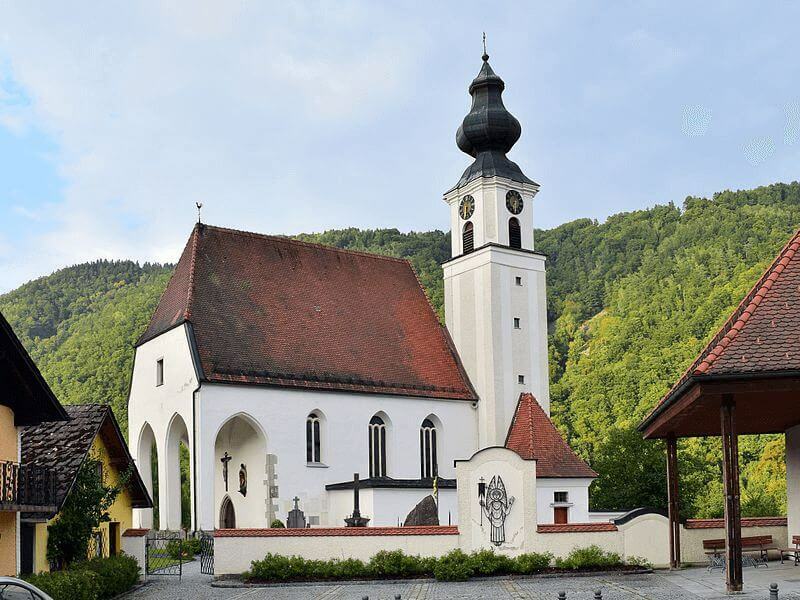 Later downstream, the town of Mitterkirchen will give you a glimpse into Austria’s Celtic past, and then you’ll have the choice between an easy cycle tour or a more challenging one. 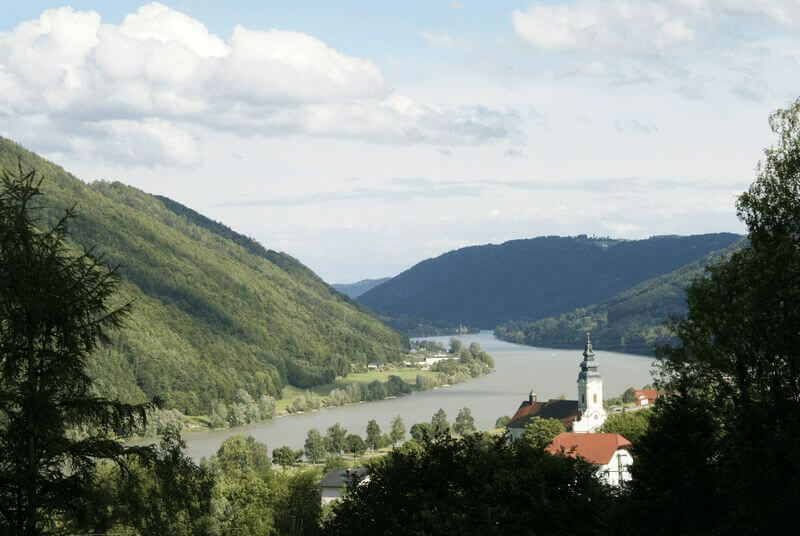 The first follows a flat path along the Danube, while the “Clam Castle” tour snakes through the handsome Strudengau backcountry, tackling slightly hillier terrain but making up for it with excellent views. 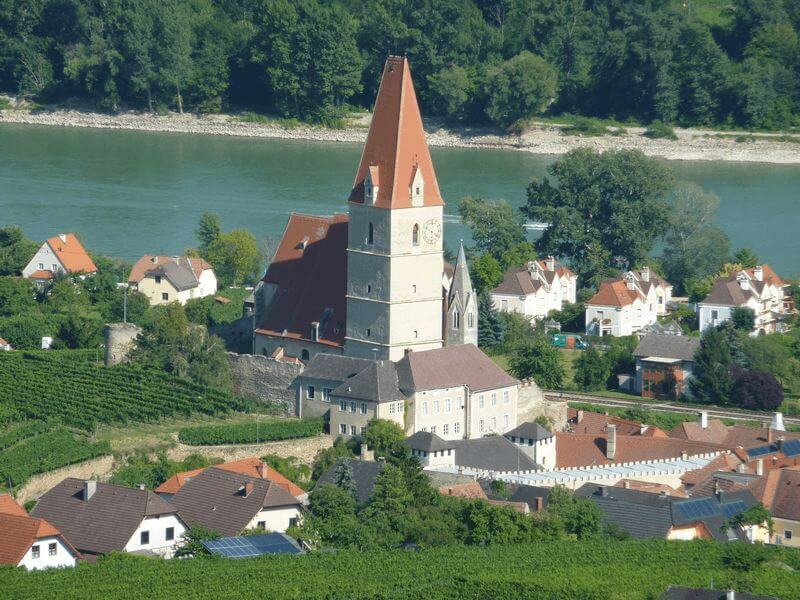 Either way, you’ll end the day in Grein, where you can feast your eyes on the Castle of Greinburg. 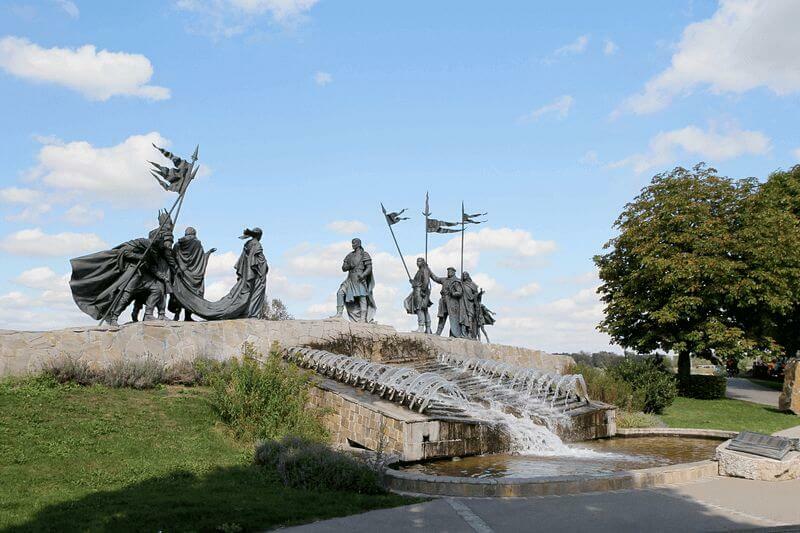 The touring today will lead you through a wonderful variety of landscapes, starting with a return to the Strudengau, which is where the Danube River narrows to a treacherous body of water that was once the bane of river captains. 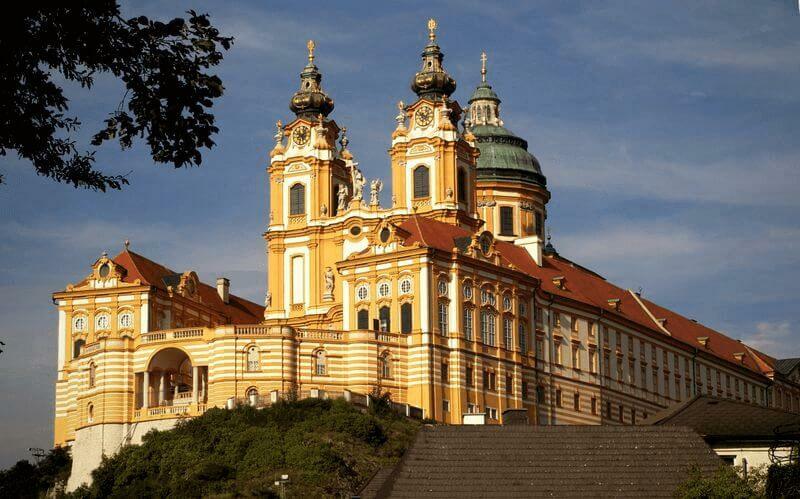 The Danube valley starts to widen from Persenbeug onwards, and you’ll cycle on to Melk, which is overlooked by a baroque Benedictine Monastery which is also the resting place of Austria’s first ruling dynasty. 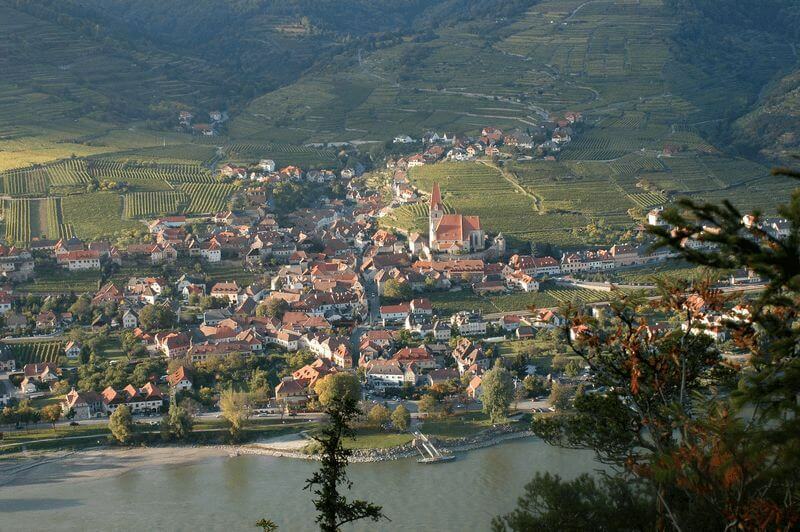 Cruise on through the Wachau, taking in the sunset and dusk light with a refreshing drink in hand. Tonight your floating hotel will berth in Tulln, which is known for its market gardens and art scene — not the least because the Art Nouveau artist Egon Schiele was born here. 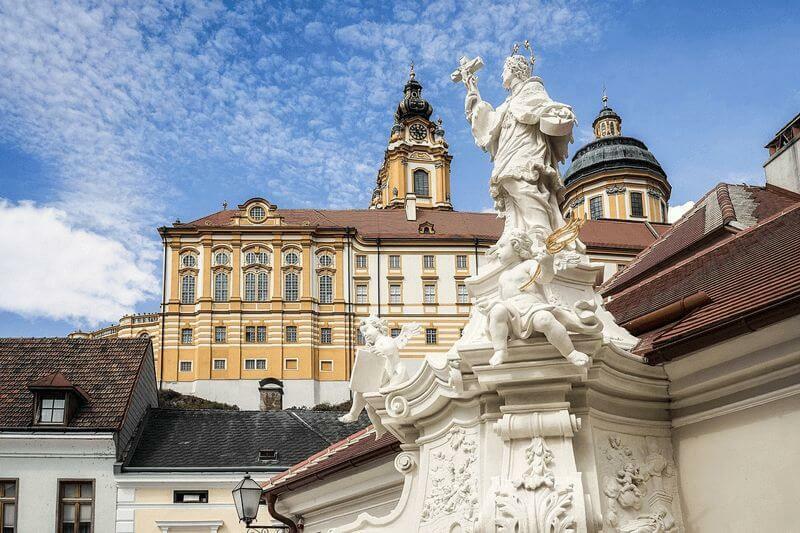 Your highlight for today: Set in impressive scenery right on the footstep of Vienna, the Klosterneuburg Monastery. 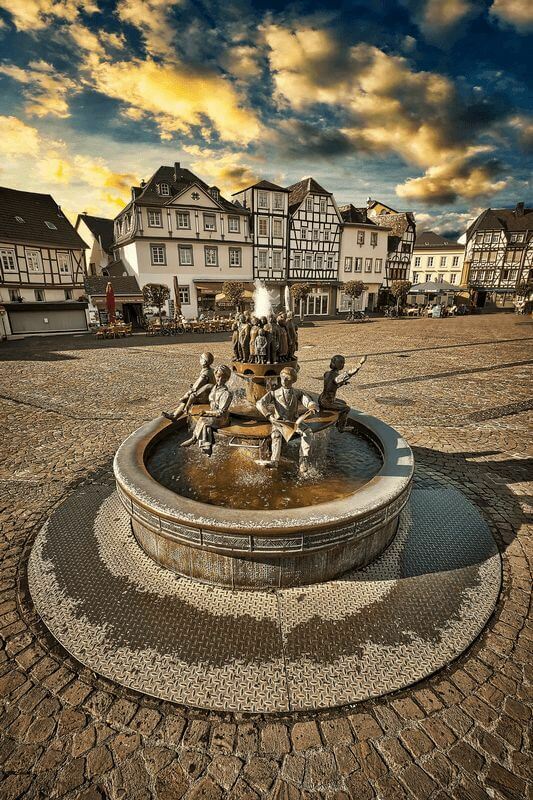 You’ll already spot its 900-year-old baroque silhouette from afar, its grand marble hall and lavishly-decorated interior will inspire awe, and the wine taverns of the Kahlenbergerdorf are also a must. 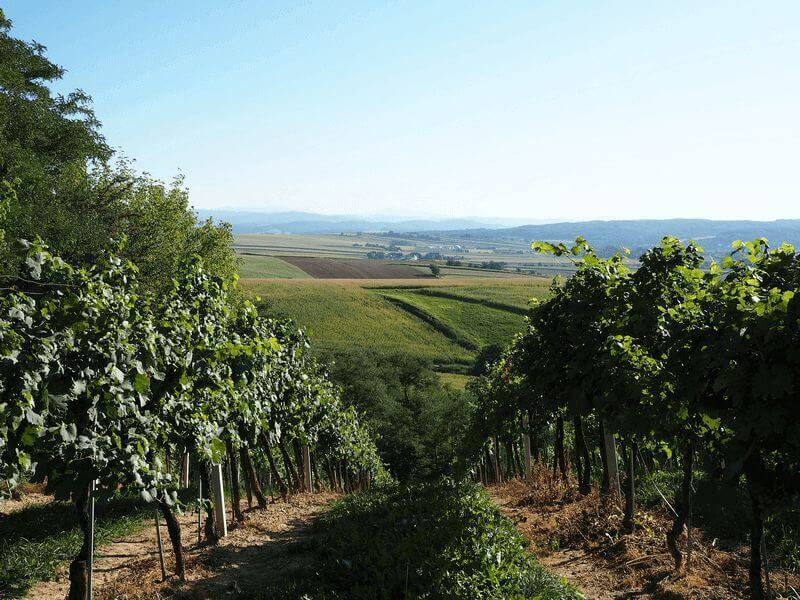 Top it all off with a walk through the oldest vineyards in Austria, and an unbeatable perspective looking out over Vienna. 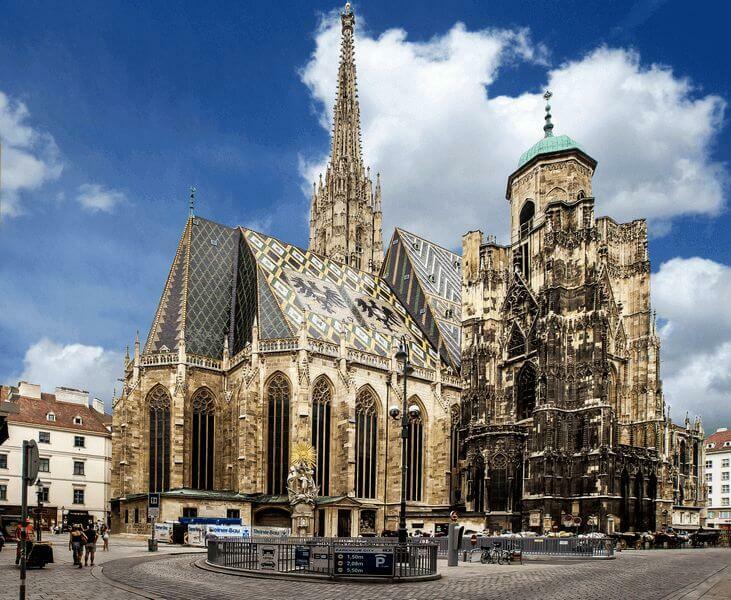 Today you’ll have plenty of time to explore Vienna’s must-see attractions, like St. Stephens Cathedral, the Museum Quarter, and the Hofburg. 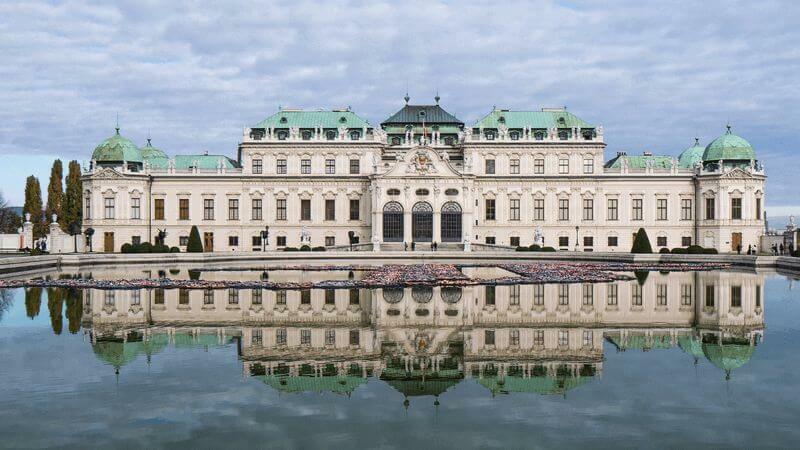 You can opt to take an extra city bike tour (not included), or make your own way along the monumental Ringstraβe boulevard, stopping by the town hall, the State Opera House and Imperial Palace. 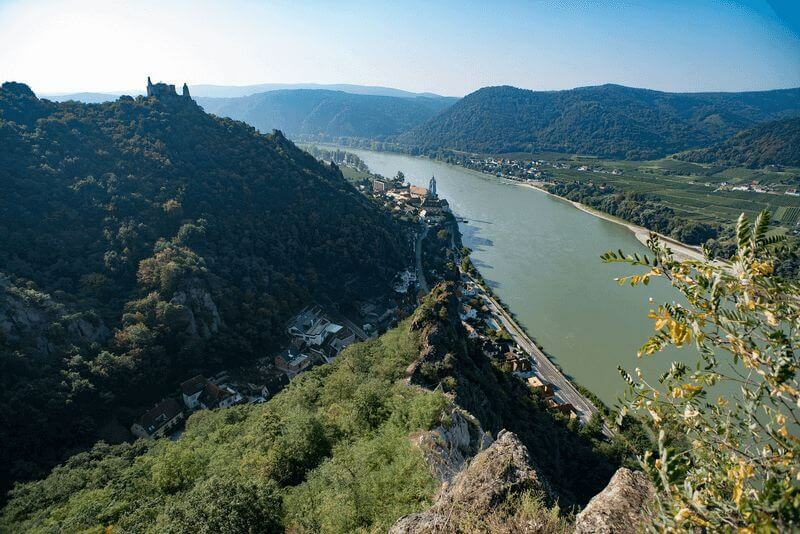 Give your feet a rest in one of Vienna’s world-renowned coffee houses and seek out some apfelstrudel, apple strudel, before embarking for a night cruise to Dürnstein on the Normandie, or Krems on the Arlene II. We’ve saved the best for last! You can’t help but be enchanted as you bike through this scenic portmanteau of fruit trees, villages, vineyards and fortresses, with remnants of medieval history everywhere you look. 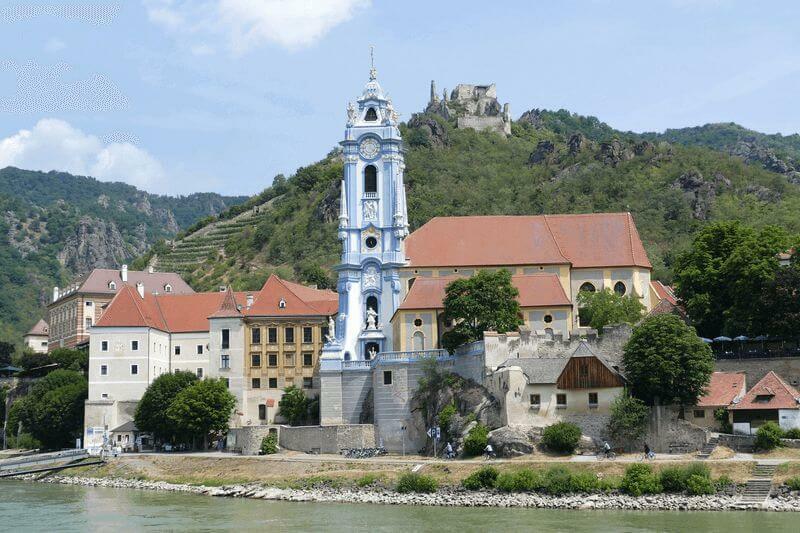 The compact but romantic town of Dürnstein is overlooked by impressive ruins, which contrast with its famous blue monastery tower — a true icon of Wachau. Carrying on, guests on the Normandie will re-embark in Pöchlarn and Arlene II travelers in Emmersdorf, just in time for a farewell cocktail and dinner. All good things come to an end, but you’ll have one last time to relax on deck, enjoying the peaceful Danube dawn and the first light of day. 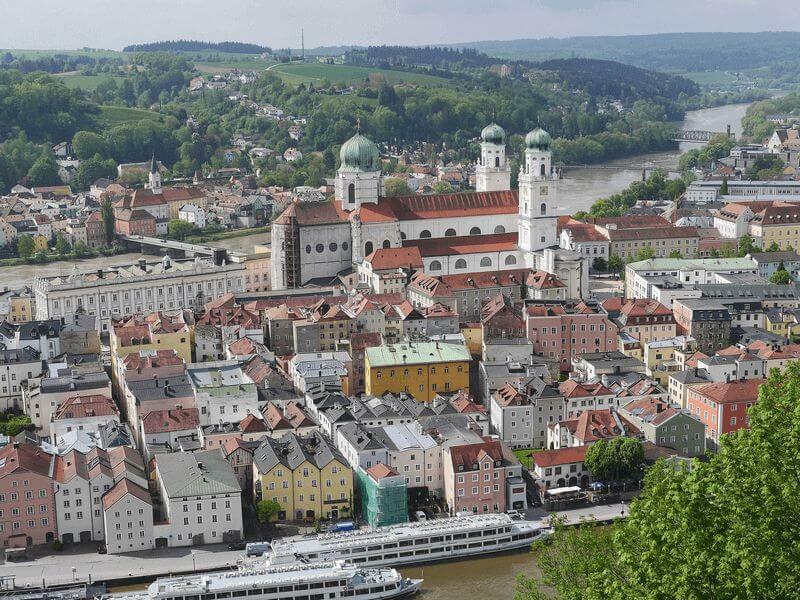 Get another perspective of the Great Donau Loop as you make your way back to Passau, arriving at approx. 10 a.m. A relaxed disembarkment follows half an hour later, with connecting trips recommended from noon on. Cycle tours: The bike tours are individual, at your own pace, without a tour guide, but with daily briefings on board and detailed bicycle maps and directions. All cycle tours can be classified as being easy. When a guest does not want to cycle one day, she/he can skip the bike tour and relax on board while cruising to the next harbour. Smoking: the interior of the ship is a non-smoking zone: smoking is only allowed on the sun deck. As a safety measure, a statutory smoking ban applies in all cabins; this means that all cabins and rooms on board are non-smoking areas. Routing/Program: basically, we reserve the right to make changes of routing and program. In case of flood or low tide, the shipping company reserves the right to bridge parts of passages by buses. In extreme situations, the shipping company reserves the right to cancel the journey on short notice. No legal right shall be constituted of both situations. The same applies for officially ordered – previously not announced – repair work on locks or bridges. Please be aware that a cruise ship on the Danube is not only your hotel but also a machine, working with engine power also during the night. Especially crossing locks and bridges – and the preparation work – may cause noise. If you are sensitive please bring your own ear plugs. Child reduction: till 13 years 20% in a cabin with 1 adult. Travel safe: we recommend to wear a bike helmet (compulsory use for helmets: In Austria for children till 12 years). Onboard Selling: UVEX I-VO € 40.- per helmet, limited number. Parking garage incl. 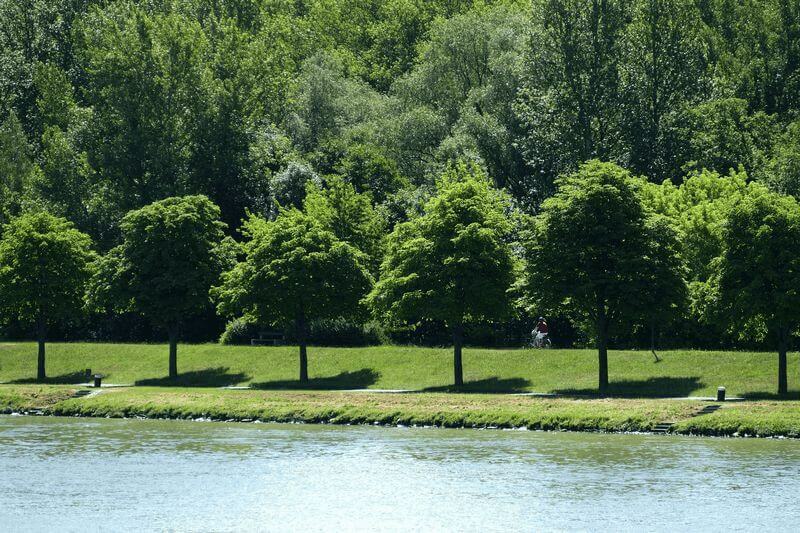 transfer park garage – boat – park garage €77 per week. Minimum number of participants: 50 guests (must have been reached within 21 days prior to departure). Legal notice: Boat Bike Tours is not the operator of this tour; this is a so called ‘partner tour’. Tour operator is: SE-Tours GmbH, Bremerhaven (D). 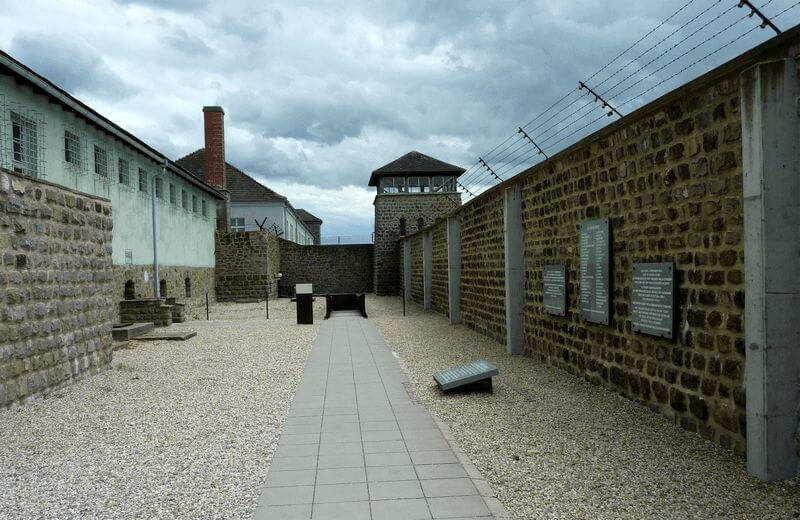 The tour operator is entitled to cancel the tour if the minimum number of participants has not been reached. If the tour will not take place, all deposits/payments will be fully refunded. Excellent food, neat clean ship, friendly and helpful crew. Bicycles were robust and easy to use, but a bit heavy and could have used one more gear for hills. We did have a number of problems on the cruise itself – but these weren’t the fault of BoatBike Tours. When we reported the issues to them afterwards, they were fast and very fair to us in their response. Knowledgeable staff provide a great product in a great format. Bike was great.Boat had some issues that detracted from experience. Boat staffIing / experience appeared a little thin especially at beginning and caused stress on them which carried over to some guests. Staff and ship were very nice. Dinner portions were a bit small and lunch on board not very good. It is like walking into a chic hotel, when you get on board of the Normandie. The friendly receptionist welcomes you aboard and hands over the keys of your cabin. All of the 49 twin and 2 single cabins have low beds, all the necessary things and a bathroom with a washbasin, shower and toilet. On the upper deck there is a panorama salon with a well-stocked bar and several seats. There is also a dancefloor and a sauna, so bring your dancing shoes and swimsuit! Below deck you’ll find the stylish restaurant where you can enjoy breakfast and dinner. Bicycles on board: 28-inch unisex trekking bicycles of the brand Velo de Ville with normal mount (ladies model), Shimano 7 gears with coaster breaking hubs or 7 speed freewheel hubs (subject to availability), lock and pannier bag. for both men and women. The energy supply is provided by a detachable lithium battery with a range of up to 65 km. 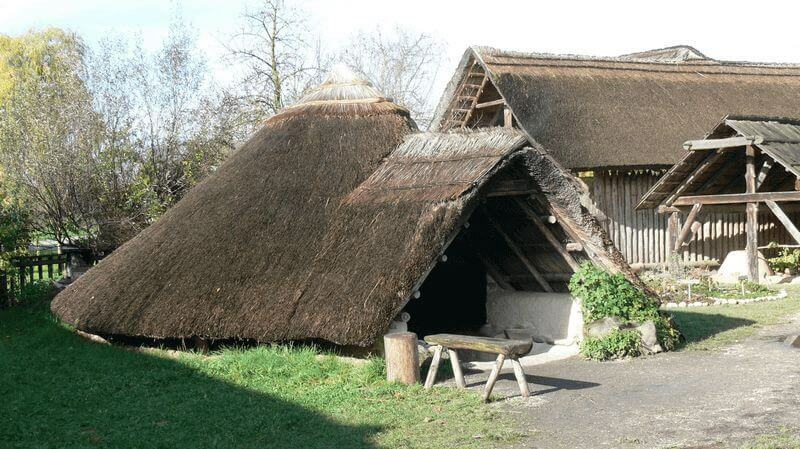 The range is subject to body weight, amount of support used, wind, cycling style and terrain. The comfortable Arlene II is being completely refurbished and upgraded in the winter of 2017/2018. You will probably enjoy your dinner even more, when seated in the tastefully furnished and fully air-conditioned restaurant on the main deck. And the drinks taste better in the modern saloon and bar with panoramic windows on the upper deck. Your cabin features en-suite sanitary facilities and items such as a TV, safe and individually controlled air-conditioning. With nice weather, it’s fun to sit outside on the partly shaded sun deck and watch the landscape pass by. Bicycles on board: 28-inch unisex trekking bicycles of the brand Velo de Ville with normal mount (ladies model), Shimano 7 gears with coaster breaking hubs or 7 speed freewheel hubs (subject to availability) and pannier bag.